Add the ‘Paloma’ wedge sandals to your New Season wardrobe. This classically modern style is crafted from premium reptile leather featuring luxurious leather lining and a rubber sole. An easy to wear slip on style with zip fastening to the back of the ankle and double buckle detail. The lattice upper will be sure to get you noticed. 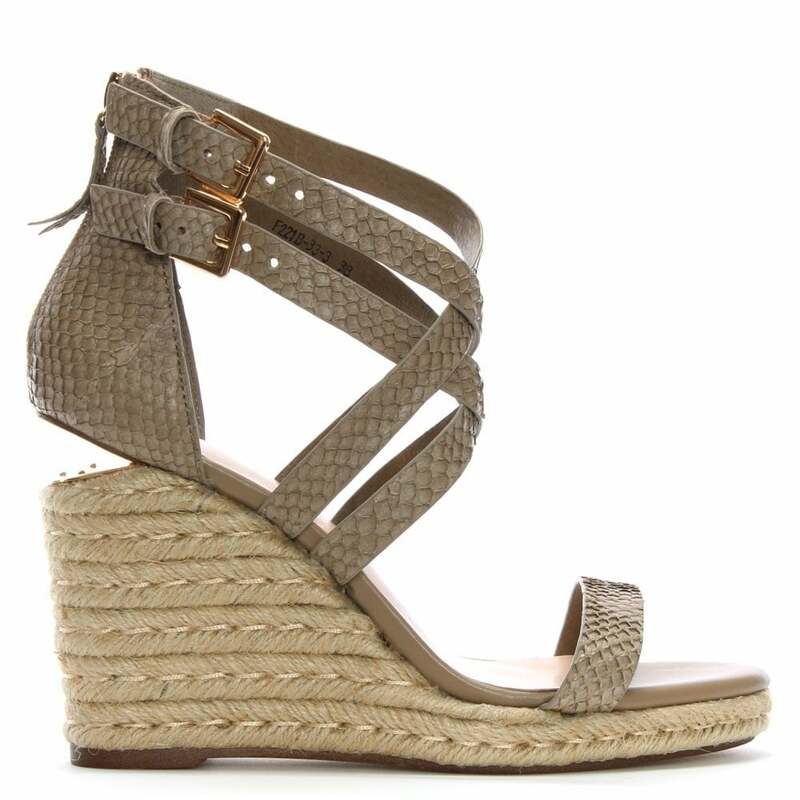 Stylish cut away detail features to the woven wedge heel.